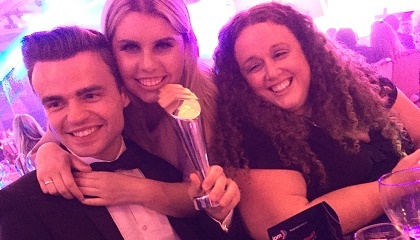 We sat down with Louise Miller, Senior Consumer Retention Marketing Manager at Bupa, to find out about what it’s like win awards from the eyes of a client. 1. What is it like to win an award? It was amazing to win. It’s such a nice way to celebrate, as a team and with our extended team at TLC Marketing. To know that our work has been industry recognised creates a real feel-good factor. 2. Describe the moment you won? It was such a shock. We really didn’t expect to win, so we just went crazy. I remember lots of cheering and then, suddenly finding myself on stage being photographed. 3. What advice would you give to other brands who are unsure about entering awards, through fear of sharing results? As long as you’re sensible, there really isn’t too much of a risk. The buzz and boost to team morale was great and the internal PR and recognition from across the business was brilliant. 4. What does it do for your own personal reputation and that of the marketing team, internally with other departments and senior stakeholders? My inbox was bombarded with loads of brilliant messages from senior stakeholders and colleagues alike. It felt amazing to be recognised by so many people. I think people sat up and took notice of our campaign and we had lots of requests to find out more. 5. Does winning an award help with seeking budget from the business? It has certainly helped open some doors to show off our work and create some momentum. To all our friends at Bupa, it’s been a real pleasure to work with you over the year’s and we hope there are even more awards to be won and happy memories to be made in the future.